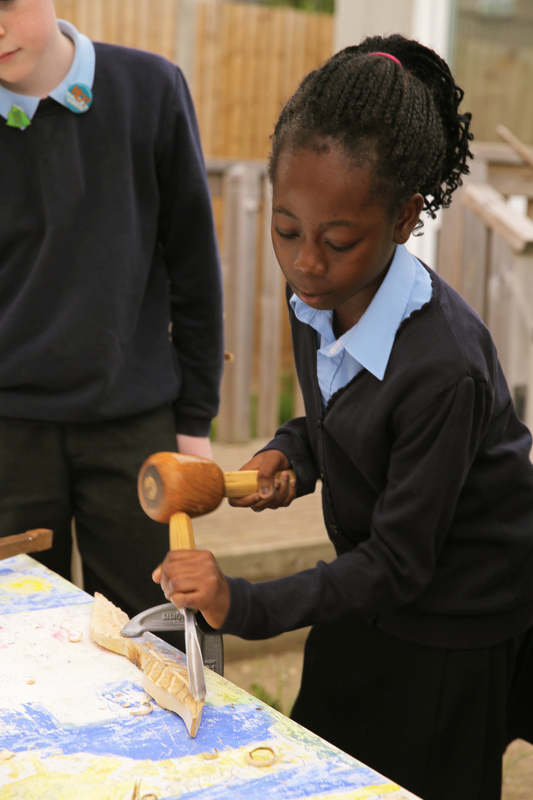 Erith Quarry update – Children start carving! 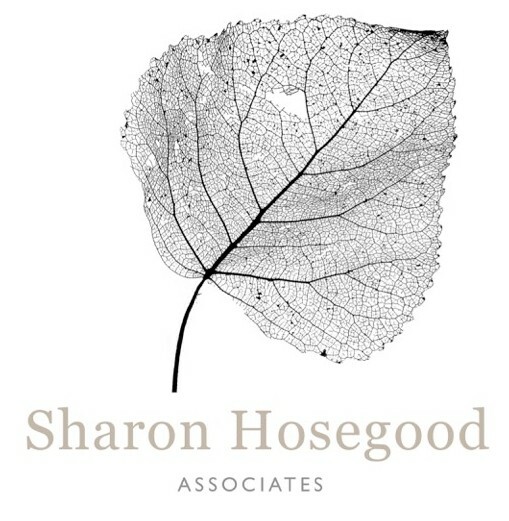 As part of the initiative created by Sharon Hosegood to engage schoolchildren in how to use timber felled in the recent development at the quarry, Peareswood Primary School year five students were tutored by Jeff Higley in making leaf carvings. For more from the Bexley Times on this event, please see by clicking here. 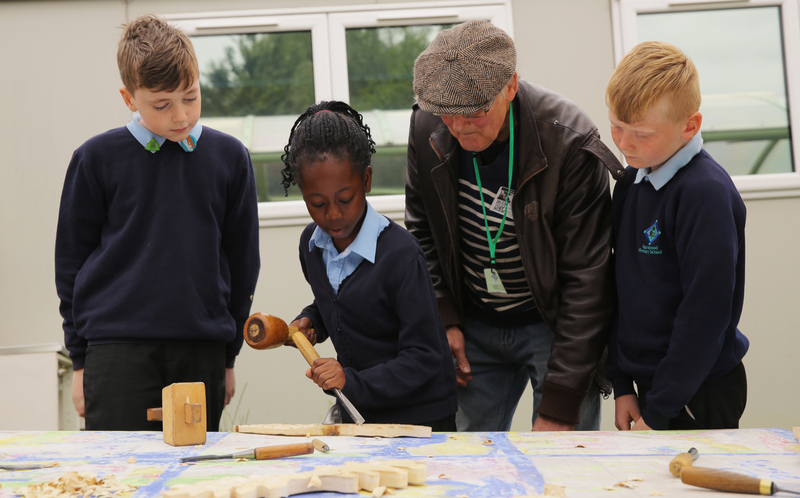 The school will receive an outdoor xylophone made from a pine tree, and an indoor plaque from a London plane. Another pine will be used to create a totem style pole, carved by Jeff, which be in the centre of the play corridor of the main development.